I walked through Golden Gate Park today on my way to visit a friend. It's a great atmosphere. Hippies on a bench pounded drums. They gave another park hippy the beat he twirled his staff to. 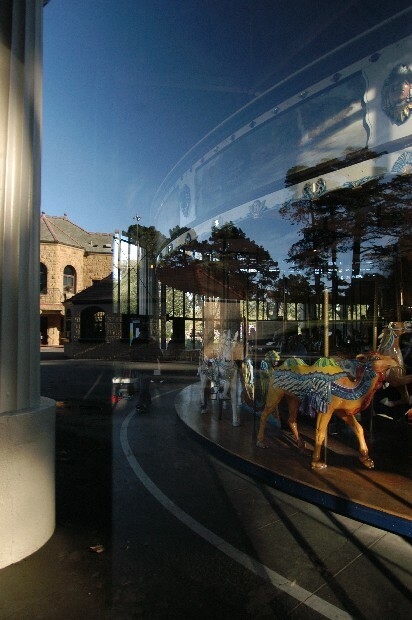 I walked by the closed carousel and noticed someone skating inside. I went down for a closer look and talked to independant film producer David Driver. He is working with students interested in film production. To see some films from the Chase Art Program that also feature the carousel go to chaseartfilm.com.